Melton RFC under 9s travelled to Loughborough on Sunday with 20 players forming two teams - the Tigers and Lions. With neither side wanting to be outshone by the other, they each played four games – against Ashby Firsts and Seconds, Loughborough and an All-Stars team. The Melton sides were rampant and won all of their eight games after a fantastic morning’s rugby with great play from every player and a strong all-round performance. Head coach Paul Moore said: “The switch to tackling from tag this season has been a real success so far with our opponents’ coaches commenting on our strong tackling and direct play. 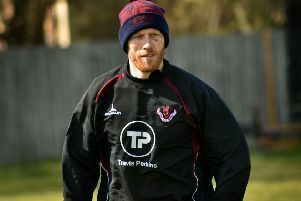 “It is so pleasing to see all the boys really enjoying the game again and we are hoping for another successful season. * Melton RFC under 10s played some great rugby on Sunday against Loughborough. The squad split into two teams and each played two games. Although they lost the matches 8-4, 11-5, 7-4 and 7-2, Melton showed brilliant teamwork.